Please scroll down to the bottom of the page for additional information and options! A glass and metal frame supports three frosted shelves facing each direction. 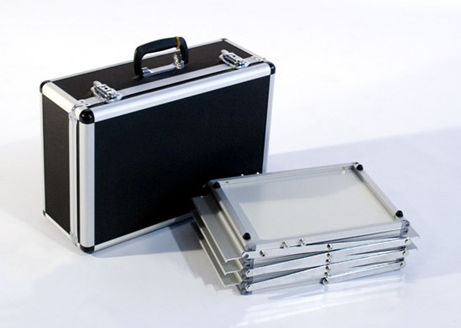 Includes a deluxe metal travel case. 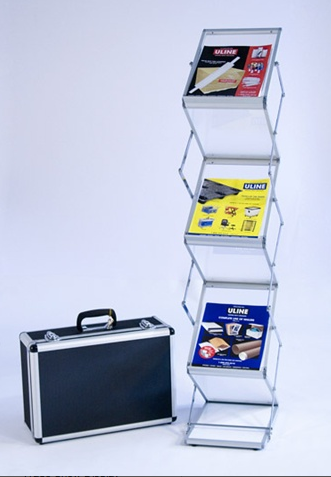 This stylish stand holds up to 6 brochures - 3 front facing and 3 rear facing. It folds completely flat for transport and storage. Need brochures to fill this stand?